This beautiful pillow you can use any space. It creates the additional beauty in your home. It has a beautiful combination of blue and pale yellow color. 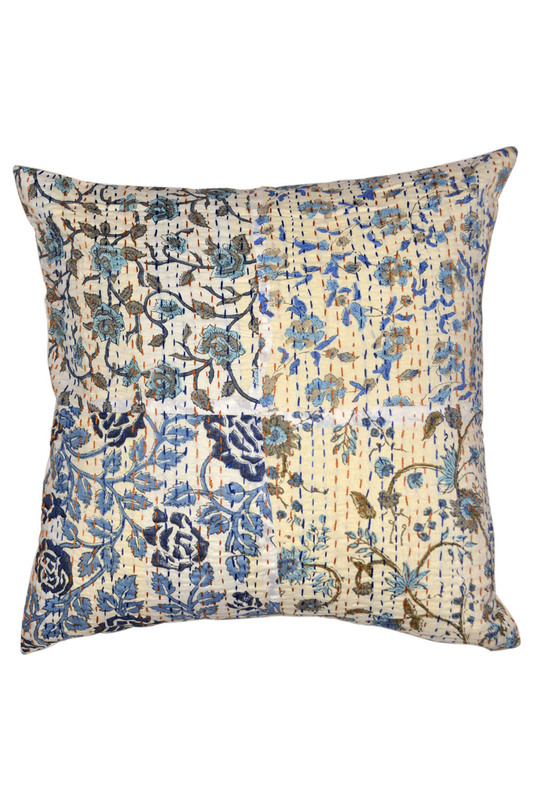 A stunning combination of ikat floral pattern in this pillow. This pillow in 100% cotton.This is totally stitched cushion in a horizontal way and also have patchwork pattern.This is "one of a kind" cushion. Available more pieces on order. Let's make your room more attractive with this gorgeous pillows.